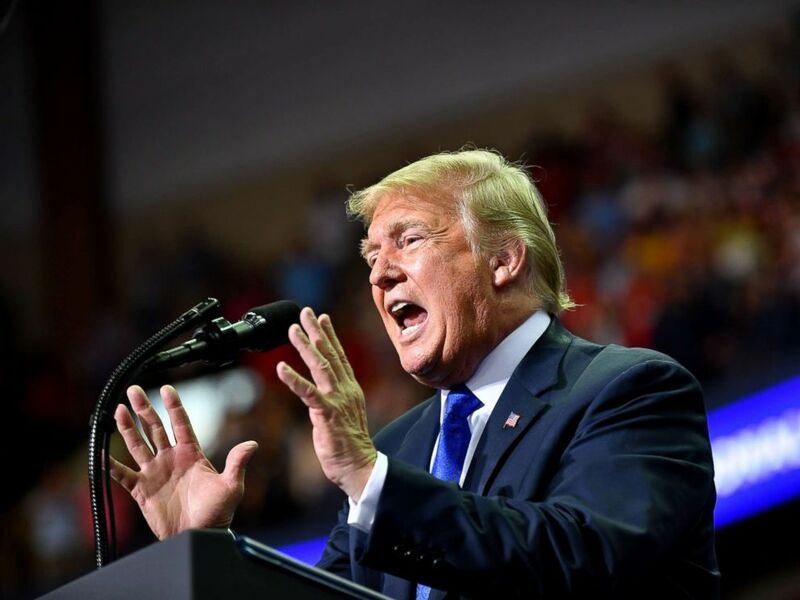 At a raucous rally in Southaven, Mississippi, Tuesday night, President Trump mocked Christine Blasey Ford, who testified before Congress last week that Supreme Court nominee Brett Kavanaugh sexual assaulted her when they were both in high school. "I had one beer. Well you think? Nope, it was one beer. How did you get home? I don’t know remember. How did you get there? I don’t remember. Where is the place? I don’t remember. How many years ago was it? 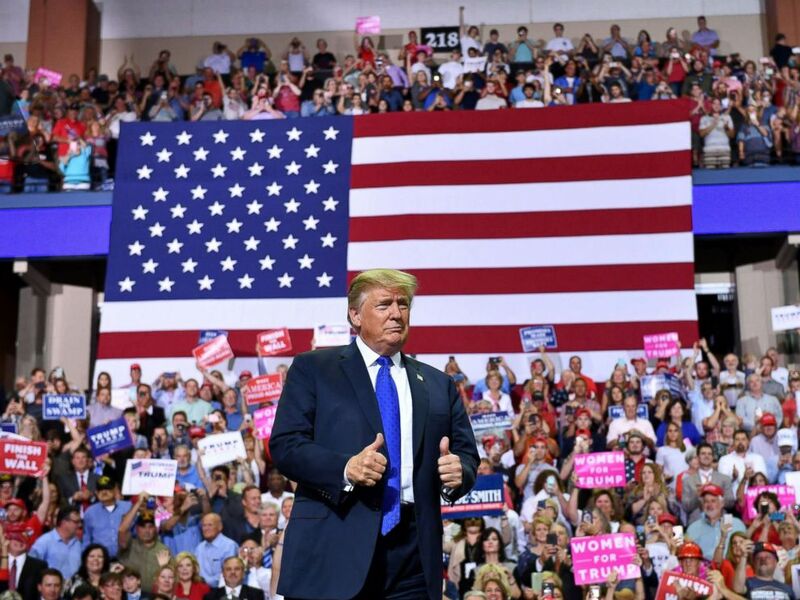 I don’t know, I don’t know, I don’t know," President Trump said, imitating Blasey Ford’s testimony to the cheers of the crowd at the rally. Trump, who last week referred to Ford as a "very credible witness," continued in his impression: "What neighborhood was it in? I don’t know. Where’s the house? I don’t know, upstairs, downstairs, where was it? I don’t know, but I had one beer, that’s the only thing I remember." As the president accused the Democrats of having been attempting to destroy Kavanaugh since "the very first second he was announced," the crowd broke into chants of support for the Supreme Court nominee. "We want Kavanaugh, we want Kavanaugh," the crowd chanted. The president warned about a dangerous and "damn sad situation" in the country where a man’s life can be destroyed over accusations over misconduct and are assumed guilty instead of innocent. President Donald Trump speaks during a "Make America Great Again" rally at Landers Center in Southaven, Mississippi, Oct. 2, 2018. He then launched into an impression of a young man talking to his mom about accusations being leveled against him. "Mom a terrible thing just happened, a person who I've never met said that I did things that were horrible, and they're firing me from my job, mom, I don't know what to do, mom, what do I do? What do I do?" Trump continued: "Think of your son. Think of your husband. I've had so many false accusations." The president opined that he has had his own fair share of accusations, but resigned that as president, he will be subject to greater scrutiny. President Donald Trump arrives at a "Make America Great Again" rally at Landers Center in Southaven, Mississippi, Oct. 2, 2018. "I’ve had many false accusations, and when I say it didn’t happen no one believes me, but it’s my job description," Trump said. "They can say anything they want but we can’t sue them, because if you’re famous you can’t sue, figure that out." "A vicious, vile and soulless attack on Dr. Christine Blasey Ford. Is it any wonder that she was terrified to come forward, and that other sexual assault survivors are as well? She is remarkable profile in courage. He is a profile in cowardice," Michael Bromwich wrote on Twitter.